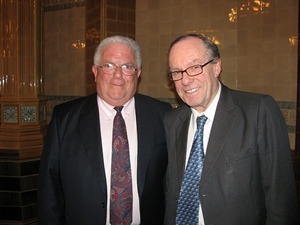 Ambassador Chas W Freeman, Jr, gave Global Strategy Forum’s first lecture in 2010, on Wednesday 20th January. Entitled ‘China’s Challenge To American Hegemony’, his lecture provided a succinct and perceptive analysis, which drew on his many years of expertise to elucidate the Chinese perspective on some of the key areas of divergence with the west, as well on its attitude to hegemony and the responsibilities of global leadership. He concluded that ‘the world in future will be more “democratic” and, likely, more muddled than in the past because many countries, not just the United States or China, will share power in it. There will be ample opportunities for countries with trusted relationships with Washington and Beijing to influence how they participate in global affairs. There will be no hegemon, and there will be no “G-2”.